We won’t know exactly what the new iPhone looks like and does — though it’s, at this point, the worst-kept secret in tech — until after tomorrow’s big Apple event. But another clue has emerged from the phone’s leaked firmware, this one involving emoji. First spotted by 9 to 5 Mac, the new phone has a new feature called “Animoji.” Using the phone’s (rumored) facial-recognition technology, Animoji will let users animate emoji — extremely creative name there, Apple — using their facial movements. “Animoji will be customized by the left and right eyebrows, cheeks, raising the chin, opening or squinting eyes, moving jaw, lips, as well as mouth movements like frowning and smiling.” 9 to 5 Mac reports. Options for emoji include unicorns, poop, robots, aliens, chickens, monkeys, foxes, and cats. 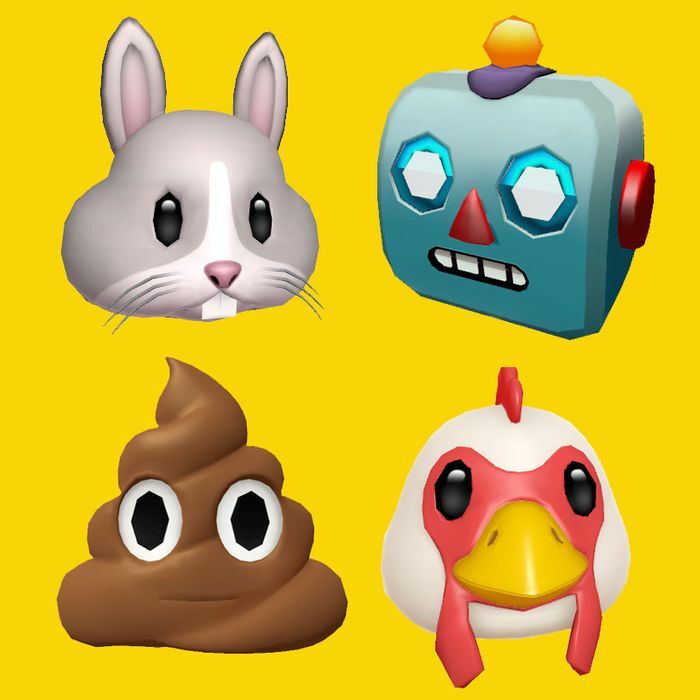 Users will be able to create and send Animoji from iMessage. And while animating a pile of poop to mimic my eyebrow raise sounds fun, I don’t know that it’s enough to entice me into dropping a grand on an all-screen phone with no home button.